﻿ Book Les Bungalows de la Prairie (Le Vauclin) - 2019 PRICES FROM $1,253! 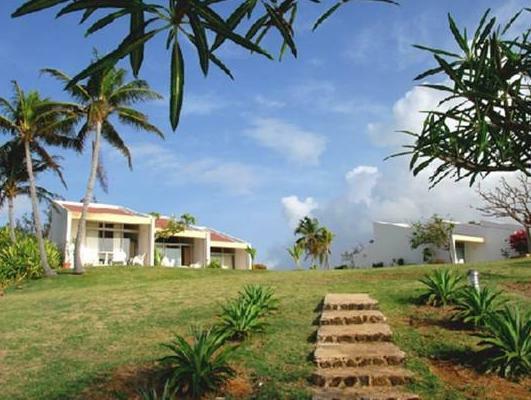 Located on the oceanfront in Le François, these spacious, modern bungalows feature free Wi-Fi and free private parking. Les Bungalows de la Praire also offers an on-site volleyball court. These bungalows feature modern décor and come with a kitchenette, as well as a comfortable seating and dining area. They are fully air conditioned, and guests receive their first breakfast for free. There is a supermarket within 5 km for guests who want to cook at home, and guests will find restaurants serving local cuisine within 10 km. The property also has shared BBQ facilities. The property offers kayak rental at the front desk, and provides a free baby kit and washing facilities. Club Kite surfing beach is a 3-minute drive away. Guests will find activities like scuba diving and snorkelling within 200 metres of the property, while the Marina du Marin is a 25-minute drive away. Martinique Aimé Césaire International Airport is 24 km away from Les Bungalows de la Praire.